"Heat is brought up from the deep Atlantic layer, resulting in a dramatically warm Arctic layer. This can explain why the northern Barents Sea has become the hotspot of Arctic warming after the mid-2000s." We need to go back several thousand years to the last glacial to find similar rapid climate shifts. During the cold periods, the Nordic Seas were cold, stratified and sea ice covered—much like the Arctic today—but shifted rapidly to a warm, well-mixed and sea ice free Atlantic climate in warm periods. This recurred several times. "We are witnessing a rapid climate shift event of a type that previously only has been observed in the past climate history of Earth", says Dr. Lind, and continues: "Global warming manifests so deeply in the Arctic that the most vulnerable part of it is lost to the Atlantic domain." The climate shift will have widespread consequences for the ecosystem. The situation can become critical for the Arctic ecosystem in the north, including ice-associated marine mammals such as polar bear and different seal species. Cod and other commercial fish stocks in the southern Barents Sea are already expanding into the northern regions. 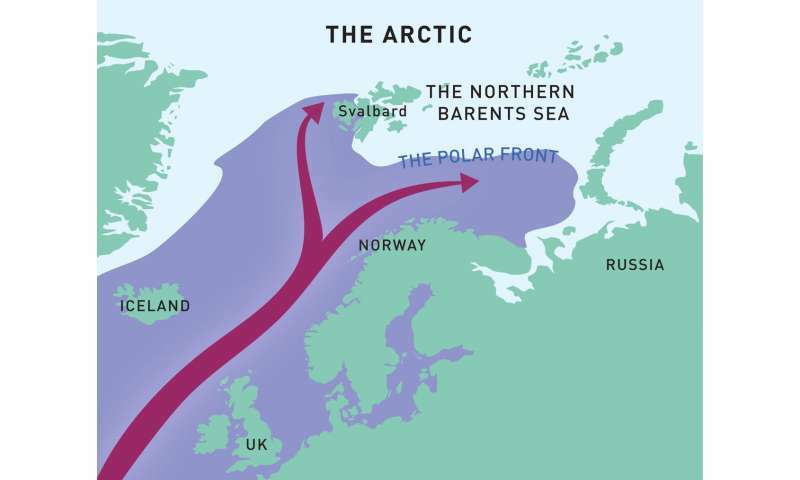 The northern Barents Sea is the frontier region of the Arctic domain and plays a special role in the climate system. Here, the cold, stratified and sea ice covered Arctic confronts the warm and well-mixed Atlantic domain. The frontier region is the most pressured region of the Arctic, and the first to be lost in the battle against Atlantic Water, the study argues. 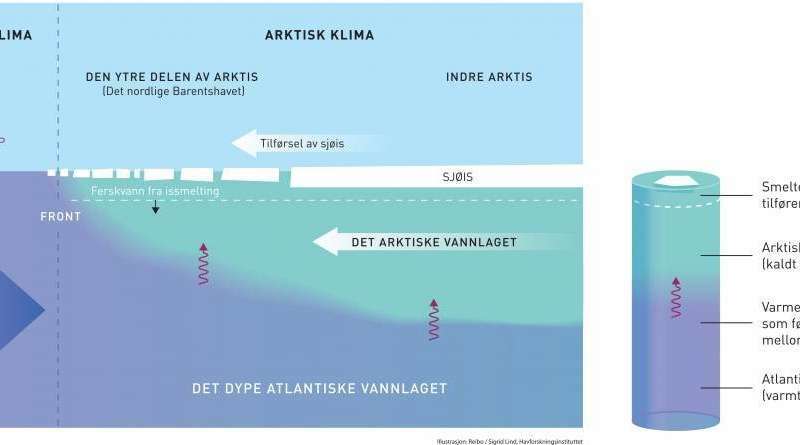 The study is based on an extensive set of observations of ocean temperature and salinity collected annually over five decades from 1970 to 2016 by the Institute of Marine Research in Norway and the Russian marine institute PINRO. It also uses satellite data of sea ice from the National Snow and Ice Data Center. "The data set is unique for the Arctic. We use it to investigate the interplay between the sea ice cover and the different layers in the ocean," Lind says. The large climatic changes observed in the northern Barents Sea has been linked to extreme weather in the mid-latitudes. The study gives new, important insight into the processes that occur in the Arctic in response to global warming. In the Arctic Ocean, a thin layer of fresh Arctic Water protects the sea ice cover from the heat in the deep Atlantic layer. There is a two-way connection between the sea ice cover and the Arctic layer, both ensuring presence of the other. The sea ice cover provides freshwater when melting, and the Arctic layer provides shelter for the sea ice from "the heat in the deep", Lind says.